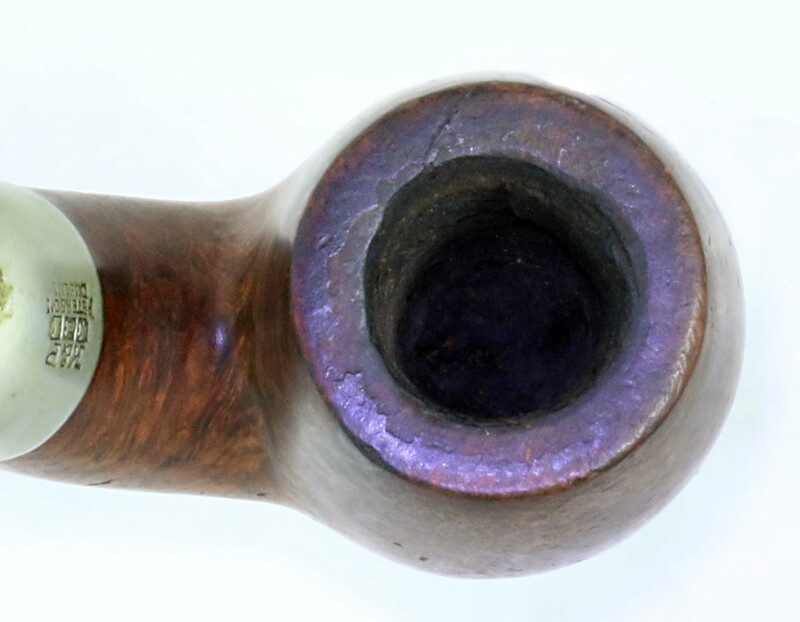 The first thing to do with a great old pipe like this is get a preliminary set of photographs: its stamps, bowl, chamber, mouthpiece, button and mortise (if it’s a System). These photographs yield clues for restoration as well as documenting its unrestored beauty. The bowl is stamped Grade 4 in a circle, the first I’ve seen, although my co-author Gary Malmberg says he’s run across this grade from time to time. You can see there are sizable fills on the obverse and a few smaller ones scattered over the rest of the bowl. 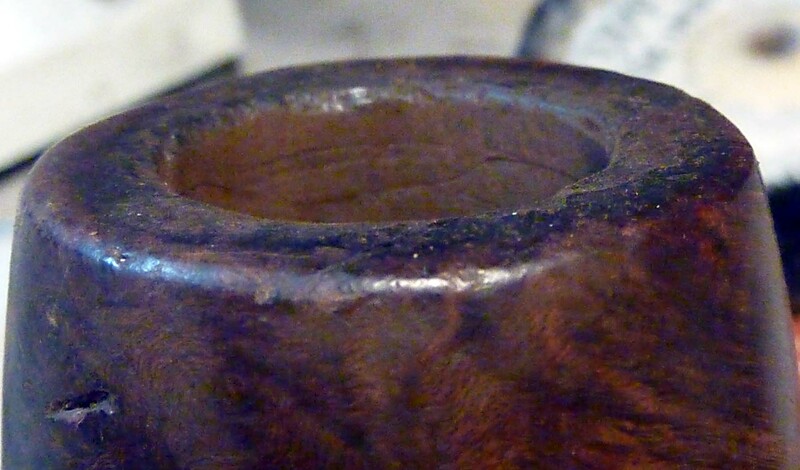 Had the pipe been made after the introduction of sandblasting or rustication, that’s where it would have gone. 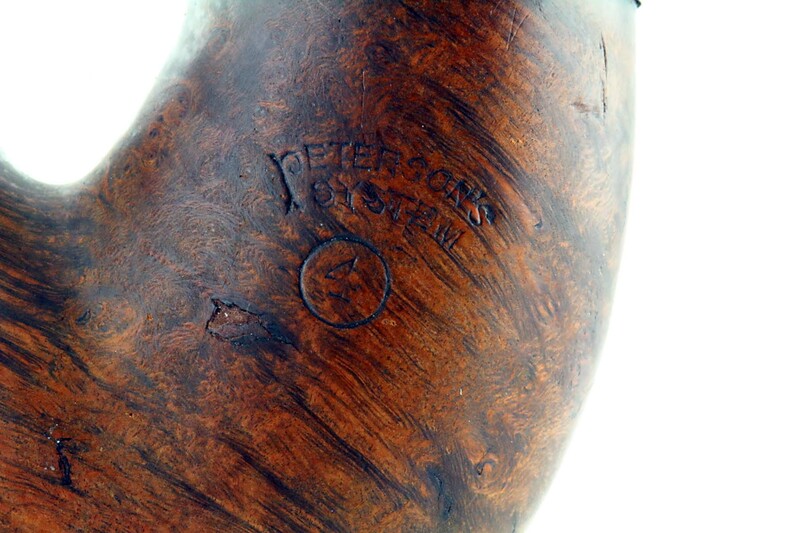 But at this early date, the bowl was deemed of sufficient quality not to consign it to the “Dummies” reject line, so K&P created the Grade 4 line, which is not found in Peterson ephemera. The nickel marks are typical of those found in both the Patent Era and the Irish Free State era (1922-1937), with the mushroom-top, doored round tower and long-necked Wolf Hound. 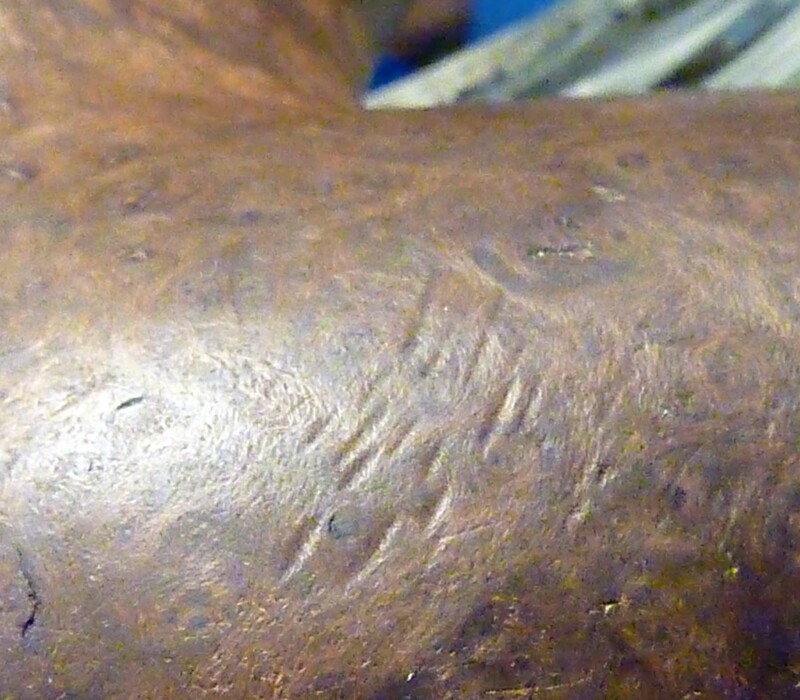 The ribs of the shamrock have either been worn down or were not stamped deeply. 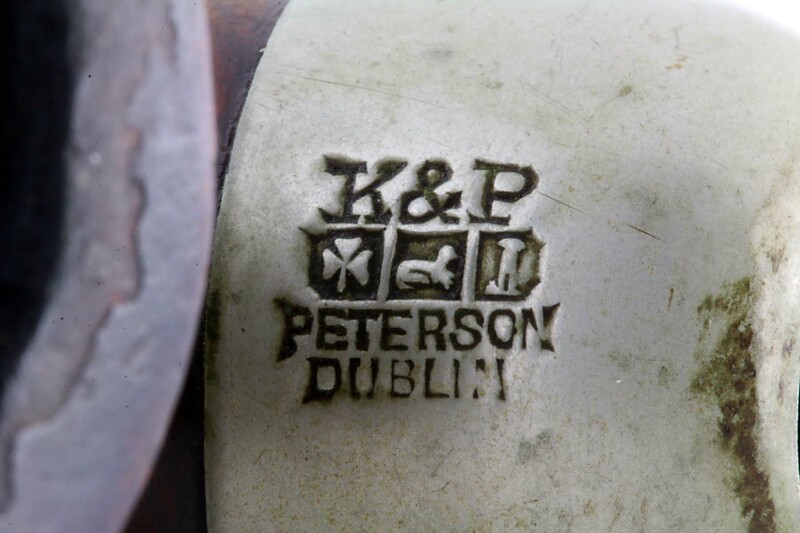 The first COM (Country of Manufacture) stamp to appear on K&P pipes was during the Irish Free State era (1922-1937). The bowl has no COM (Country of Manufacture) stamp, which could mean it was either not stamped, it was made in the late Patent Era (1913-1921), or it was made in the IFS era before the COM stamp was used. It is stamped SYSTEM, a stamp which replaced the PATENT stamp at some point after the patent’s expiration in 1912. K&P was advertising the De Luxe System line by 1917. Taken together, these clues lead me to conjecture the pipe was probably cut between 1917 and 1927 (1927 being the first documented date we have the IFS stamp), which means either the late Patent era or the beginning of the Irish Free State era. Conservative estimate: 100 years ago. After the documentary photos, the next job was to ream the bowl and get a sense of how the chamber has fared. The previous owner liked to use a knife to remove dottle, and unsurprising in a chamber this large, often only smoked half the bowl—the cake being noticeably thicker at the top half than the bottom. 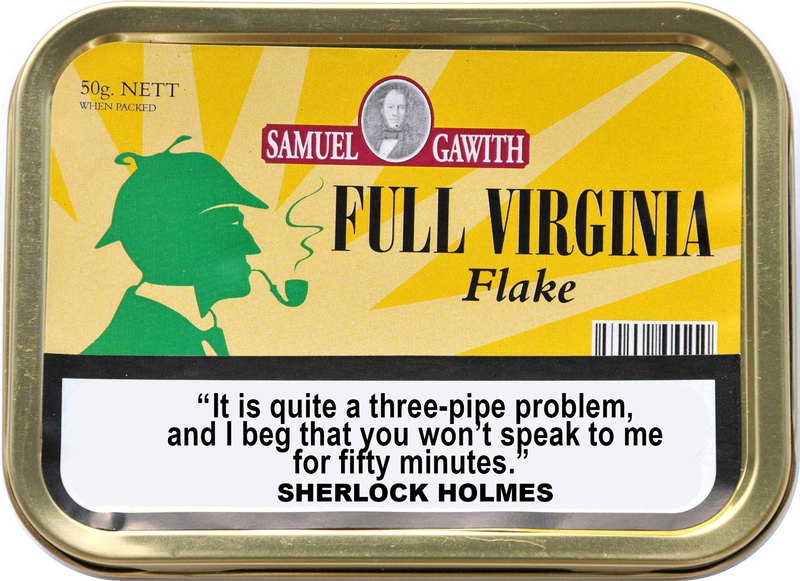 The cake was all quite old, dense and hard, so he seems to have been a fairly slow, methodical smoker. After reaming with the PipNet, I used a short dowel rod with 100 grit to remove all the remaining cake and get a good look at the chamber surface beneath. I know some pipemen won’t buy a pipe that’s been reamed back to the bare wood, but with a pipe this old, I felt it was necessary to know what James might be facing as it breaks it in. The chamber was tight and clean, with just a few of the typical “fire veins” or spider webs produced by the heat of the tobacco in any chamber over the years. The draft hole in particular was small and tight. In wood this old, as that’s often where a burnout will begin, another reason to clear it of cake. What immediately draws the eye when looking down on the crown of the bowl is if it is “out of round” and if there are any cuts or nicks along the inner rim. But what is often hidden in plain sight is damage to the outer rim, usually (like this one) softened and beaten down from years of use. At this point, I made the decision to top the crown by a millimeter (less if possible) to bring the sharp edges back. 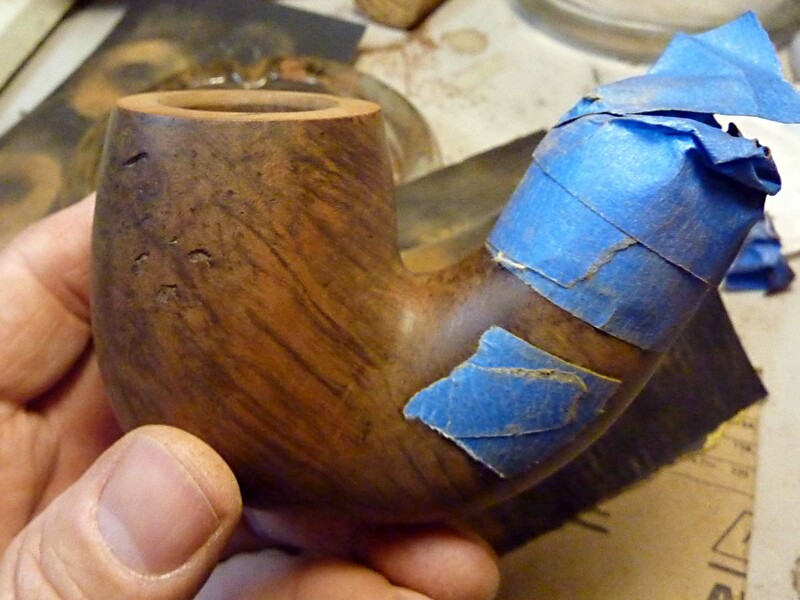 And here’s take-away #1 for anyone new to pipe restoration, or for those who haven’t worked on many Petes: old Systems, particularly the straight-sided ones like the ‘dutch’ bent shapes (the 02, 4 / 309, and 1 / 301) can often benefit by topping a millimeter or so if the crown has been softened or beaten down. If you’re careful, it won’t affect the visual perception of the shape at all. If you take nothing away from this post, think about trying this step on future projects where it may be indicated. 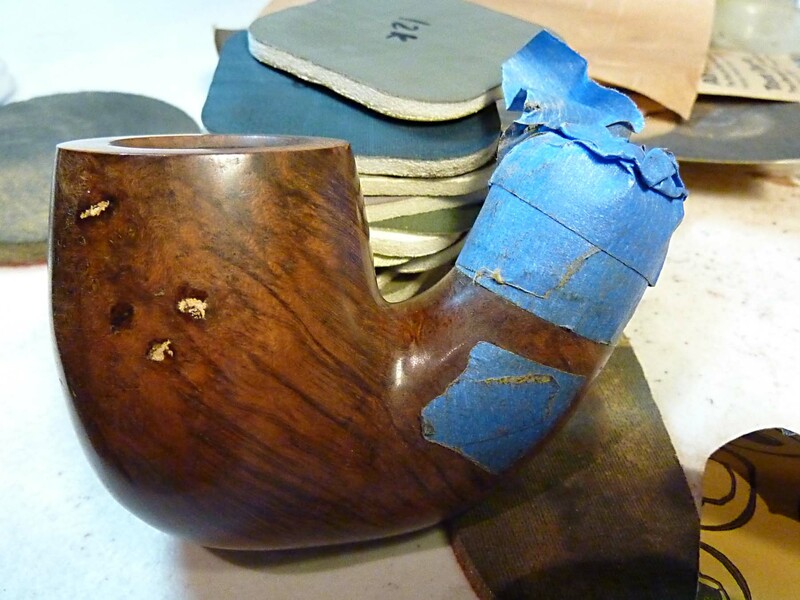 After reaming the chamber and giving the outside of the briar a good wipe down with isopropyl-soaked cotton pads, I found exactly what I needed to guide my topping job: a small burn mark on the outer rim. It measured .95mm, which should remove enough wood to restore a crisp top and sharp edges to the crown. After taping the ferrule (very important for System pipes), I began with 100 grit on a flat surface (no pads!) to get through the first .50 mm, then went up to 150 until I hit the burn mark. There followed 220 and 400, where I stopped to put in the bevel. 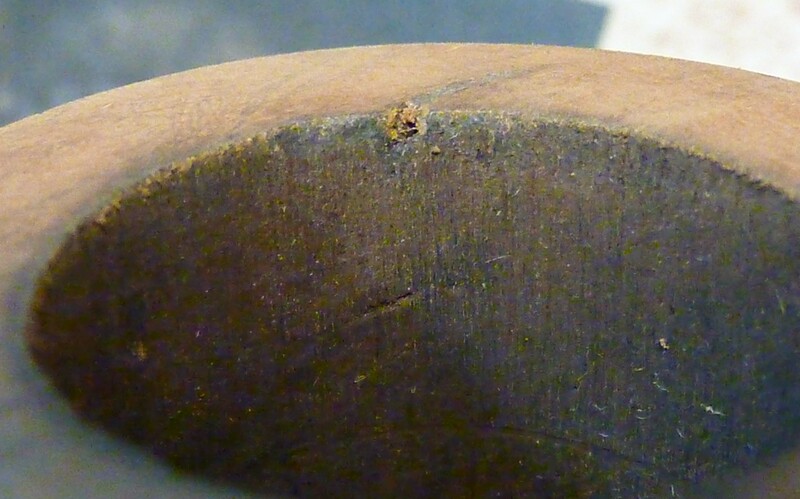 Take-away #2: When the inner rim of the chamber has been scarred in various places by a knife, it can be made to look almost new with a small bevel commonly used on Petes of mid- and high grades. I suspect one reason such bevels have been used by pipe makers is to aid in getting the ashes out without scarring the rim. 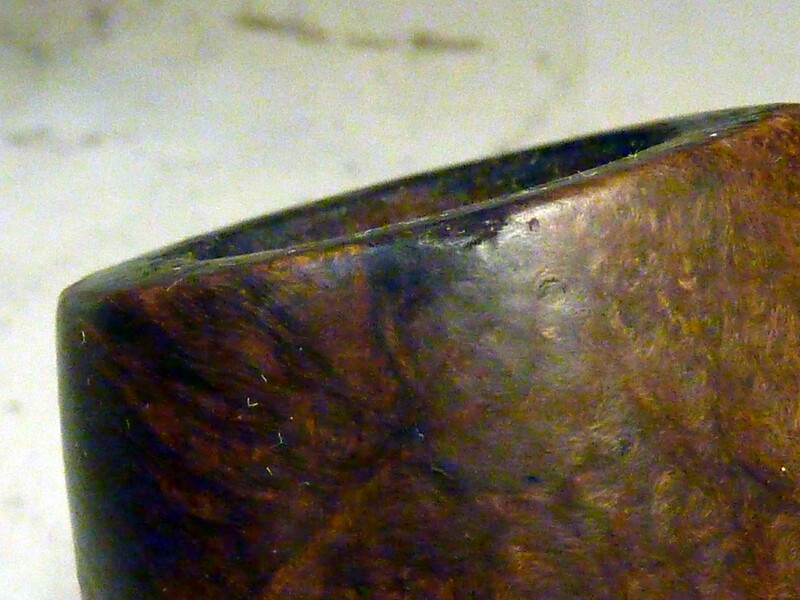 As so often happens, the bowl itself will tell you how deep and wide to make the bevel. On this O1 there is a little nick in the inner rim from the previous owner’s knife-reaming that indicates the depth I want. Achieving that would remove surface imperfections around the inner rim and bring it back into round. I use the same dowel rod I use to finish the inner chamber to make the bevel, using 150 grit to do most of the shaping, then 220 and 400 to finish the preliminary work. There are two lines to keep your eyes on when you bevel: the outer line on the top of the crown, and the inner line inside the bowl. The goal, of course, is to make the two lines run parallel to the edge of the bowl and each other. 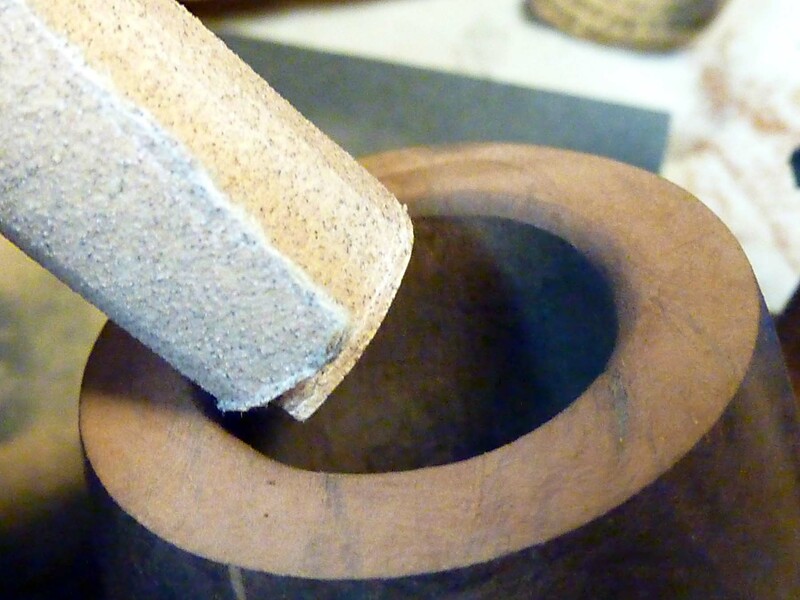 In practice, this isn’t usually possible, because the rim and the chamber are never perfect circles—in fact, they probably weren’t when it was originally drilled. Before sanding the bowl, there are some dings to deal with: two little meteor showers, one on each flank of the bowl, and two little pock splashes, one on the bottom of the bowl and one near the crown. I use a doubled T-shirt fabric, soaking wet, covering the affected area, then heat a flat-head screwdriver on the stove and press it onto the T-shirt, letting the hissing steam pull out the dings. This takes a few applications until you can see and feel the dings rise. There’s usually a ghost left, which sand paper can easily remove. After raising the dings, I turned to sand the bowl, beginning with a 400-grit pad, then followed with a 500. I find that if I go below 400, I’ll remove most of the original stain, which I don’t want to do if I can help it, as this is a restoration, not a reclamation. 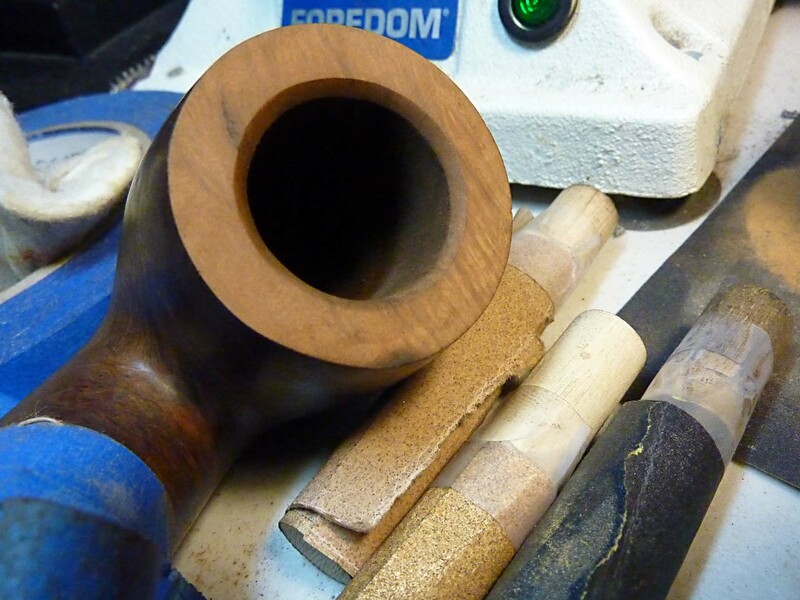 You may not know this, but Peterson pipes of the last several decades are only sanded up to 400 grit. They tried to go higher at one point—600 or maybe 800 I think Paddy Larrigan told me—but they ran through the paper so quickly they realized it wasn’t financially viable and so settled on 400 as the sweet spot. Compare that to what one of my favorite artisans, Silver Gray, said in her interview on PipesMagazine Radio Show: she sands her pipes to 12,000 grit. “Light bulb,” as Felonius Gru would say. But before I sand, I need to do the fills and re-stain it. 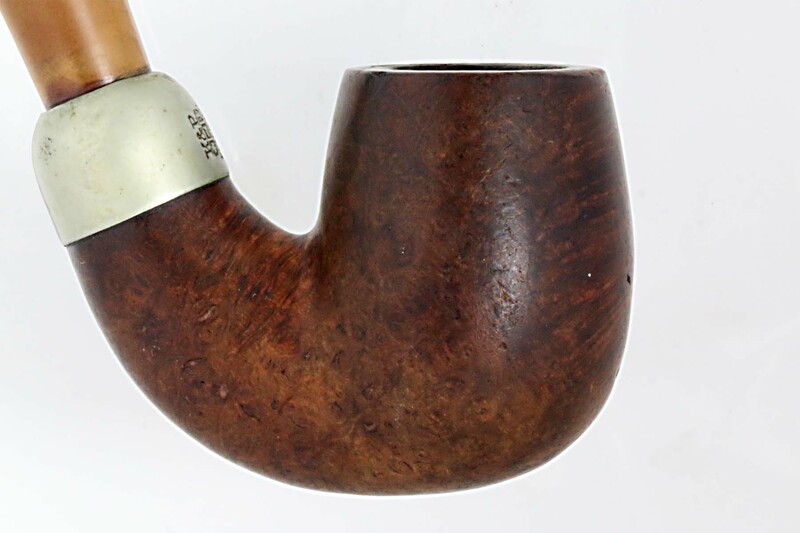 The obverse has some “acne” (pits, root marks and fills) which I’m leaving, as they give the pipe some of its distinctive character as a Grade 4. The putty seems solid in the tiny fills on this side, so I see no need to pick it out and refill. I use Steve Laug’s method for filling places where the old putty has fallen out. You need a dental pick, a small sculptor’s tool, or something similar, and of course some briar dust. It doesn’t take much at all, so if you’ve got an old bowl, a minute or two of swipes on 100 or 150 grit will get you all you need. I then took a tin of briar dust I have saved from pipes I have worked on over the past months. I keep some on hand for patches like these. I wet the end of the dental pick and dipped it into the briar dust and move it around to form a ball of the dust on the end of the pick. I used my finger to move the dust ball into the hole on the shank and the bowl. I patted the dust into the hole with the tip of a knife blade as I wanted a good tight fill. I then squeezed a few drops of super glue into the dust in the hole. As I did this the dust would shrink a bit and I added more dust and more super glue. When I was done the holes were filled and both had a small bump over where they used to be. I always over fill the holes so that when I sand them down they are smooth and I can feather in the fills with the rest of the briar. I was fortunate in this case that the holes were lined up with the grain marking around them. Once the glue dried (very quickly by the way) I sanded and checked to see if I had missed any spots. I wanted the entire surface smooth to the touch and under a jeweler’s loop. I sanded the spots down and blended them into the bowl surface. Once that was done I wiped the bowl down with a cotton cloth dampened with Isopropyl alcohol to remove any remaining dust. You can see the mistake I probably made. I used amber CA glue instead of black. I’m not sure the black would have colored my briar dust–does anyone know? As glue is over the top of the sanded fills, I’ll need to spot stain these fills afterward, so they will be a bit less obvious to the eye than might have been the case. Oh well. Sorry, James! And now for take-away #3: sand the bowl all the way through the Micromesh pad set up to 12,000 grit. It’s easy work that costs nothing but a little time and some pad grit, but will tell afterwards in the long-term patina and gloss of the bowl, as well as how it feels between the fingers. So after sanding down the CA glue fills, I continued up from 500 grit to 600, 900, then through the Micromesh grades. This goes much faster than vulcanite restoration, and I think you’ll see the end result worth the few minutes it takes. “The Case of Arrington’s O1”. 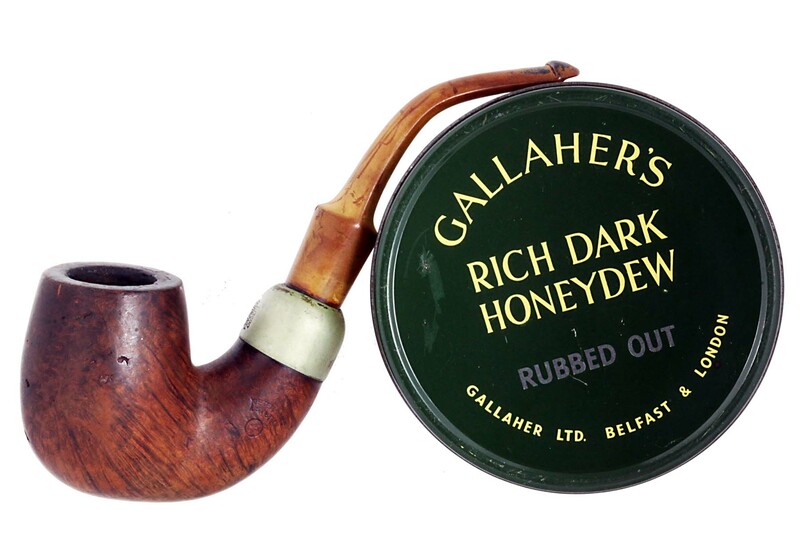 . .
A real pipesmokers pipe ! Thats a great start! Very nice work on the inner bowl bevel, looks machine cut! Thanks, Sir. Photoshop is a wonderful tool. J. Mark, I always use a clear super glue to repair those – not black. Nice work. Steve, when you see the finished pipe on Monday or sometime next week, let me know what I could’ve done to make the fills blend more effectively. I’m sure everyone else would be interested in hearing from you as well. I can’t tell you how happy I am with the pipe and how impressed I am with your workmanship. I wouldn’t have even realized what you did with the rim if you hadn’t recorded it. I’ll smoke it for the first time on the 120th anniversary of the System. Yea! 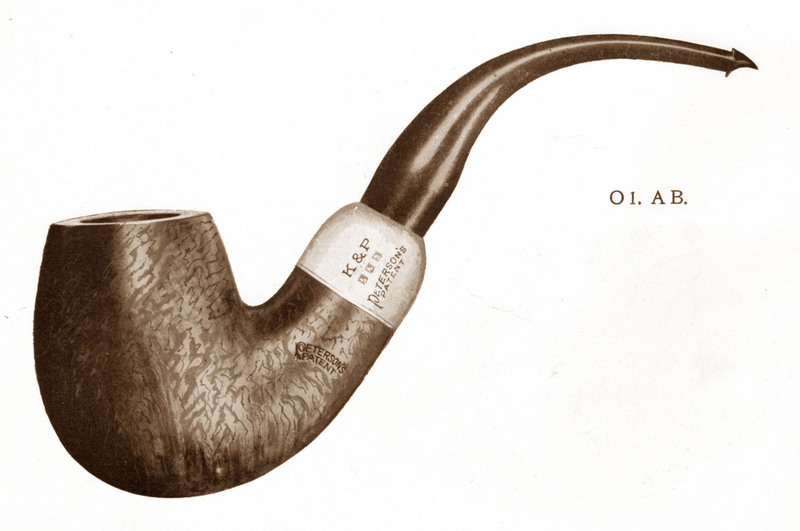 I’ll smoke my O.3 with you–it’s the “baby” brother of the O.1. What tobacco will you use? Hmmm…Peterson Sherlock Holmes, probably. Very appropriate. You didn’t know it, but in addition to being a Peterson nut, I’m also an avid Sherlockian ! Then be on the look out, O Ye Sherlock AND System fan, for one of the 2 Sherlock Systems on the estate market–only released one year, maybe 1990 (have to check), in the Original and in the Baskerville shapes. Very cool looking, with tapered P-Lips and of course, System reservoirs.